(P1) In Peru, a businessman came early to his business one morning to find a big surprise. He found a sloth in front of his business. (P2) He called for help from wildlife authorities while other people looked at the sloth and took pictures. Eventually, the authorities came to take the sloth back to the city’s natural park. (P3) This was a surprise because sloths normally do not go near people. They normally stay in the forest. They are very slow moving and can sleep from 15 to 20 hours a day. 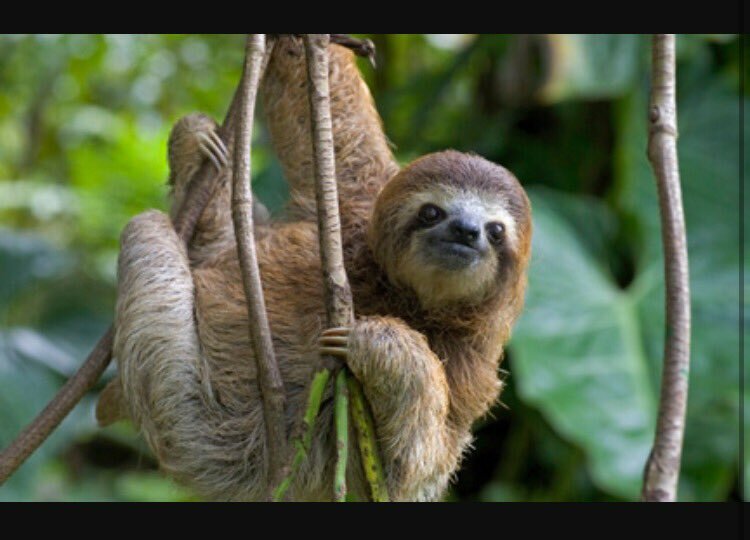 Sloths are also endangered because of humans and other animals that eat them. How would you react if you saw a sloth in front of your house? Do you think sloths are cute or ugly? Why? Why do you think the sloth left the forest? Where does this event happen? Who did the businessman call? How many hours per day can sloths sleep?